The GHMC presently has a fleet of 773 vehicles of which 103 are light vehicles being used by officials for day-to-day activities. The drive will have special teams comprising officials and workers equipped with modernised equipment. Hyderabad: A series of measures including doing away with its ageing fleet of vehicles has helped the Greater Hyderabad Municipal Corporation (GHMC) cut costs and save nearly Rs.15 crore every year. Following a decision to go with the provisions of Road Transport Act Rules, the transport wing of the civic body has started to condemn vehicles which have been in use for 15 years and more. So far, 179 such vehicles have been pulled out of usage and 240 more have been identified for the same purpose, according to the officials. The GHMC presently has a fleet of 773 vehicles of which 103 are light vehicles being used by officials for day-to-day activities. For the solid waste management purposes, the civic body which daily handles 5,000 metric tons of garbage has 494 vehicles for the purpose, of which 260 are of its own and the remaining 234 are deployed through hiring, according to a press release. Vehicles for officers were procured 12 years back when the GHMC was formed with seven circles of core area and 12 circles of peripheral municipalities. Since the civic body now has 30 circles and six zones, the need for vehicles for officers in different categories has increased, the release said. 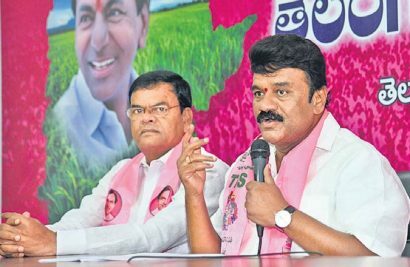 Following a recommendation of the GHMC general body, the State government has accorded permission for purchase of 20 vehicles including 19 Toyota Innovas for use by the Mayor, Deputy Mayor and head of the departments apart from one Fortuner vehicle for the Commissioner. The Directorate of Enforcement under the Greater Hyderabad Municipal Corporation (GHMC) will be taking up a special drive to clear encroachments on footpaths in the city and ensure the Right to Walk for pedestrians. In view of the High Court directions, the drive would have special teams comprising officials and workers equipped with modernised equipment, JCBs and debris removal vehicles and taken up in coordination with the traffic and law and order police, said Viswajit Kampati, Director Enforcement, Vigilance and Disaster Management of GHMC. Six teams are being deployed and each team is allotted eight stretches to cover a total of 48 stretches in the first phase. On a priority basis, 4,133 identified encroachments from 127.5 km road length on these 48 stretches are to be covered, he said. 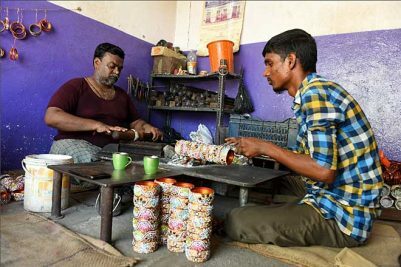 Some of the teams have already been on the site asking the encroachers to move out voluntarily failing which the encroachments would be removed by the special teams from June 30 onwards without issuing any notice under section 405 of Act provision of the GHMC. 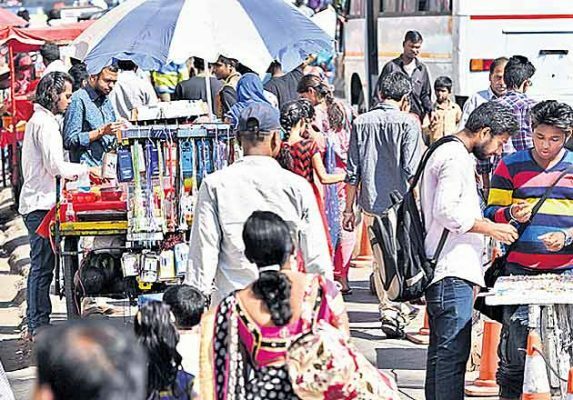 The civic body will not initiate action against small vendors doing business for which the UCD wing is identifying places do their business without giving scope for traffic congestion.